An Afghan soldier has been shot dead after gunmen attacked a service for the 16 villagers that were killed by a US soldier. The attack happened after hundreds of students chanting “Death to America” took to the streets of Jalalabad, in Afghanistan’s first protest against the US army sergeant’s killing spree. Two of Afghan President Hamid Karzai’s brothers were in the delegation, which came under sustained gunfire at the scene in Panjwayi district of southern Kandahar. Karzai has described the shootings as “unforgivable”, and the parliament declared that “people are running out of patience” over the behaviour of foreign troops deployed in the country. A US soldier in his early 30s is accused of breaking into village homes and opening fire, killing 16 people including women and children, in an incident that has further damaged Afghan-US relations as the countries try to craft a post-2014 partnership deal. Taliban insurgents have vowed revenge for the killings, and the US embassy in Kabul has warned its citizens to be on their guard, mindful of a wave of deadly protests last month over the burning of Korans at an American military base. 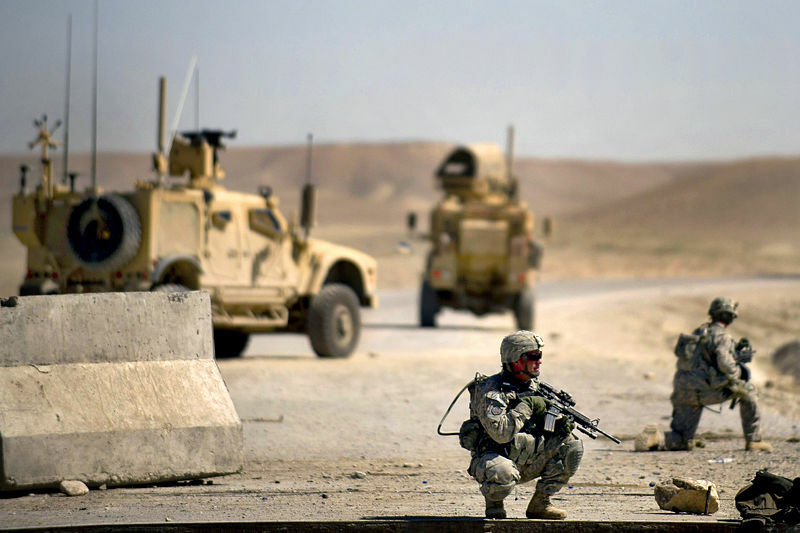 The United States and its NATO allies are looking to withdraw their 130,000-odd combat troops from Afghanistan by 2014, although Sunday’s massacre in Kandahar risks exacerbating a mood of war-weariness in the West. In Washington, Obama warned the US public against a hasty drawdown from Afghanistan, after a weekend poll said most Americans believe the war is not worth the cost – and want an early withdrawal. The massacre is the latest in a series of actions by troops that have provoked outrage in Afghanistan, and comes weeks after the burning of the Korans sparked riots that killed 40 people.